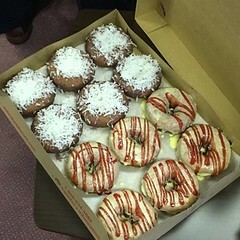 Cremation Society of Virginia’s Northern Virginia office is centrally located in Chantilly, serving the Virginia suburbs of Washington D.C. Communities including Arlington, Fairfax, Loudoun, Prince William, Alexandria, and Fauquier counties and the cities of Chantilly, Herndon, Reston, Vienna, McLean and Fairfax. We provide prepaid and at-need cremation services for families and individuals. We have the training and know-how to help you choose the cremation and funeral services that are right for your family and loved ones. Cremation is increasing in popularity because it offers a cost-effective and environmentally sensitive way to remember your loved ones at a fraction of the cost of a typical funeral or memorial service. Preplanning cremation services allows you to get the cremation and memorial services you want and saves your family the time and expense of handling the details after your passing. 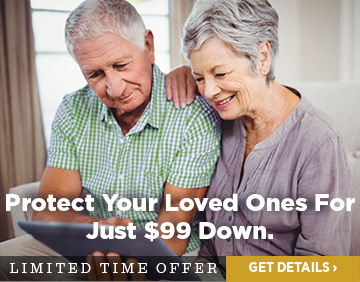 Give your family the gift of remembering you without worrying about how they will pay for your cremation or funeral expenses or having to focus on those details when they would rather be celebrating your life. Cremation Society of Virginia’s Northern Virginia office is conveniently located in Chantilly, Virginia at 14014 Sullyfield Circle, near the intersection of the Lee-Jackson Highway (US Route 50) and Walney Road. 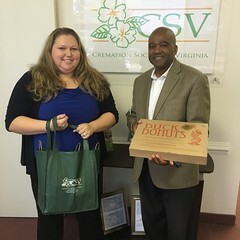 Cremation Society of Virginia contributes to our local community through our efforts to provide cost-effective and professional cremation services. We work closely with hospitals and hospice organizations to provide education about the services we provide. Take interstate 66 W toward Front Royal. Use the right 2 lanes to take exit 57B for US-50 W toward Fair Oaks/Winchester. Continue onto US-50 W- drive 4.6 mi. Turn left onto Sullyfield Cir. Use VA-267 East and Take the exit toward Fairfax from VA-28 S.
Use the right 2 lanes to take exit 28 for Centreville. Merge onto VA-28 S/Hwy 28 S.
Exit onto US-50 E toward Fairfax. Turn right onto Sullyfield Cir. Use the left 2 lanes to turn left onto VA-294 W/Prince William Pkwy. Turn right onto Liberia Ave. Turn right onto VA-28 N/Centreville Rd. Continue onto VA-28 N/Sully Rd. Follow I-95 N to VA-123 N/Gordon Blvd in Woodbridge. Take exit 160B from I-95 N.
Get on VA-286 N/Fairfax County Pkwy in Burke from VA-123 N.
Merge onto VA-123 N/Gordon Blvd. Continue to follow VA-123 N.
Use the right lane to take the ramp onto VA-286 N/Fairfax County Pkwy. Continue on VA-286 N/Fairfax County Pkwy. Take VA-28 N/Sully Rd to US-50 E in Chantilly. Follow I-495 S, 495 Express Lanes/Capital Beltway Inner Loop/Interstate 495. Get on I-495 S/Capital Beltway in Tysons from Dolley Madison Blvd. Use the right lane to merge onto I-495 S/Capital Beltway via the ramp to Richmond/Alexandria. Continue to follow US-17 S/US-50 E.
Keep left at the fork, follow signs for I-66 E/US-17 S/VA-55 E/Marshall/Fredericksburg. Merge onto I-66 E/US-17 S/VA-55 E.
Take exit 53 to merge onto VA-28 N/Sully Rd toward Dulles Airport. Please Note: We are not affiliated with the Cremation Society of Virginia/Southside in Clarksville or the Cremation Society of Virginia/Tidewater in Virginia Beach. Cremation Society of Virginia’s Northern Virginia team brings more than 25 years of experience in the cremation and funeral industry. We have the knowledge and experience to help you define your wishes in advance and advise your loved ones in their time of need, resulting in a cremation process that reduces stress on your family at a difficult time. You can rely on the Cremation Society of Virginia’s Chantilly team to sensitively and thoughtfully guide you and your family through the cremation and memorial planning process. Contact us by filling out the form on this page to learn more about our preplanned cremation packages and give your family the gift of remembering you without having to worry about expense or cremation and memorial details. Clarence Preston is a veteran of the United States Air Force and 1985 graduate of the San Francisco College of Mortuary Science. It has been an honor for him to provide dedicated service to families and the general public for over 30 years as a Funeral Director and Embalmer in California, Arizona and Virginia. As the Service Manager of Cremation Society of VA Northern Virginia office, he works to ensure that each family receives quality care and excellent customer service. He has a strong passion for transformative mentoring and community service. Clarence is a loving and devoted father to one daughter and three sons. An avid reader and football and basketball fan, he enjoys spending quality time with family and friends as well as traveling. This Baltimore native and former longtime resident of San Francisco/Oakland, Ca. region is excited to be living and working back in Washington D.C., Maryland, and Virginia (DMV) region.